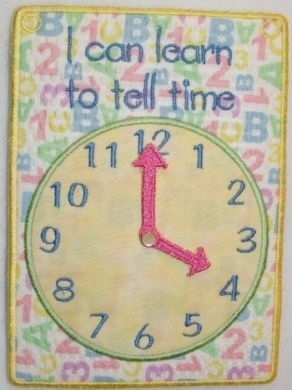 Teach the little ones how to tell time with their own fun clock with moving hands! Comes for the 5x7 hoop and includes complete photo instructions. Has small parts after completion, fasten them tightly. Finish Size 5.05" x 6.98"